Fuel-oil piping systems for emergency generators and boilers are available in a variety of materials to suit specific project requirements. Among the products offered in the marketplace, steel piping is often the preferred choice for its strength and longevity. Black iron pipe is by far the most common choice for above-ground fuel applications, where it is generally specified with either threaded or welded joints. While above-ground piping is pretty straight-forward, specifying fuel-oil piping for below-ground installations may demand a bit more of your time. Permit applications involving below-ground fuel piping are subjected to higher scrutiny, due to regulations designed to avoid the potential for leaks and the subsequent contamination of ground water. In most (if not all) jurisdictions, regulatory agencies will require secondary containment and interstitial space monitoring for any fuel piping that is in contact with the soil. In the strictest jurisdictions, the proposed piping system may need to be pre-approved and listed for the intended use. Steel is often chosen as the material for the service pipe in a below-ground fuel-oil application, with the secondary containment pipe consisting of a non-metallic material, such as a fiberglass-reinforced plastic (FRP). The secondary containment provides an interstitial space where leaked fluid from the service pipe can be captured and monitored. Because the containment pipe is non-metallic, it is not susceptible to corrosion and does not require cathodic protection. Many environmental protection agencies like this arrangement because it combines the strength of steel for the service pipe, and the corrosion-free nature of FRP for the secondary containment. Below is a brief description a popular product based on this design. Perma-Pipe’s Type-FS piping system consists of a service pipe (typically schedule-40 steel) contained within an epoxy fiberglass secondary conduit. The service pipe and containment assembly utilize center spacers (to maintain the service pipe in the center of the secondary conduit), and the complete system is manufactured to specific project dimensions. When required, the assembly includes optional items such as leak detection inspection ports or electronic sensors. As a pre-engineered system, field installation is limited to welding the service pipe and sealing the secondary containment by use of a joint closure kit that wraps over the FRP conduit. For the best quality and ease of installation, all piping elements are pre-engineered and supplied as a system by the manufacturer. Many options are available from the manufacturer, covering items such a leak detection and protective coatings for the service pipe. The Type-FS piping system is often specified to include a PermAlert PAL-AT cable-type leak sensor for monitoring of the interstitial space. The PAL-AT uses a pulsed cable-radar technology to send out low voltage pulses on a leak-sensing cable that runs inside the interstitial space of the piping, for the entire length of the pipe. On initial start-up, the system electronically divides the cable into short increments and measures the reflections from each increment. It stores the measured values in a permanent record called the “master” map. In normal operation, the system continuously monitors reflections received at the panel, and compares the current condition with the master map. Significant changes from the master, for instance when the cable gets wet, will cause the PAL-AT system to enter the alarm mode and display the location of the leak. For fuel-oil applications, the cable leak sensor can be specified to only sense the presence of hydrocarbons, therefore reducing nuisance alarms triggered by moisture condensation in the containment pipe. The PAL-AT is ideally suited for installations where it is important to pinpoint the exact location of a leak, so any repair efforts can be focused on the affected area. College campuses, hospitals, government facilities and other high-traffic buildings can benefit from the features provided by the PAL-AT system. 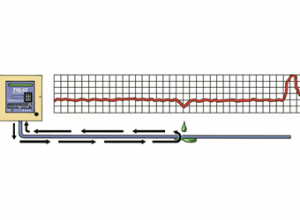 Float-type sensors are another option for leak detection, although they are best-suited for shorter pipe runs. This approach relies on sensors installed at the “low point” of the piping system (typically in a watertight collection sump). A leak from the service pipe into the secondary containment conduit will gravity-flow to the containment sump. A float sensor in the sump is then wired to a monitor panel to alert whenever there is liquid in the sump. Designers should consider the terrain’s slope to determine whether a single low-point sump is adequate. Some installations may require multiple low point sensors connected to a central monitoring device. An example of this system can be seen in PermAlert’s LiquidWatch. In a typical project using the Type-FS product, Perma-Pipe will prepare a preliminary design using the project’s engineered site and/or mechanical plans. The piping system will be shown complete with pre-manufactured elbows, tees and any other special components that are required for the project. 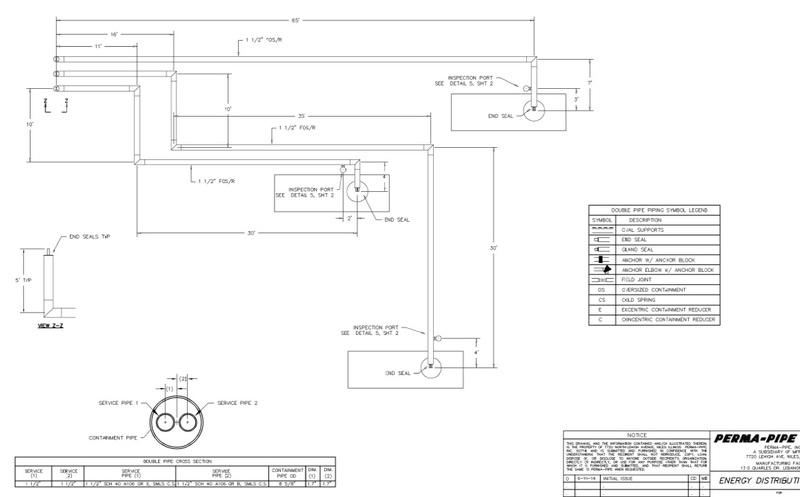 These drawings are forwarded to the contractor to verify against actual field conditions. The contractor will then account for elevation changes, existing utilities, and any other obstructions that may require adjustments to the preliminary design. Once Perma-Pipe has received feedback from the contractor, the drawings are updated and finalized for production. The completed system will then be manufactured and shipped to the job site in sections optimized for the installation process. On-site welding is normally limited to straight sections of pipe, and field joint kits are furnished to the contractor to allow proper closure of the secondary containment conduit. Once the pipe is assembled and leak-tested, the electronic portion of the leak monitoring device is calibrated and made operational. After successful start-up of the fuel system, and depending on the complexity of the installation, one or more training sessions can be provided by Perma-Pipe. The ultimate goal is to have a solid fuel-oil delivery system and an owner/operator that can be confident of the installation for many years to come. Fuel-oil systems are a specialized area of design and can be challenging at times. If you have design questions related to this article, I welcome you to post your comments below or reach out to me for a consultation. 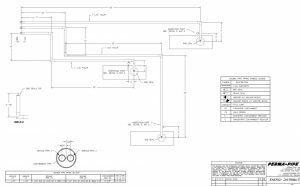 I look forward to helping you design a safe and reliable fuel system for your next project! Do you have any sales rep in Singapore, if not can we send an enquiry to you. please provide email address and contact person detail. Please follow this link for the sales office for your region: http://www.permapipe.com/contactus. Thank you.